I can't take credit for the design of the badge above. It was created by Craig's wife, Michelle. 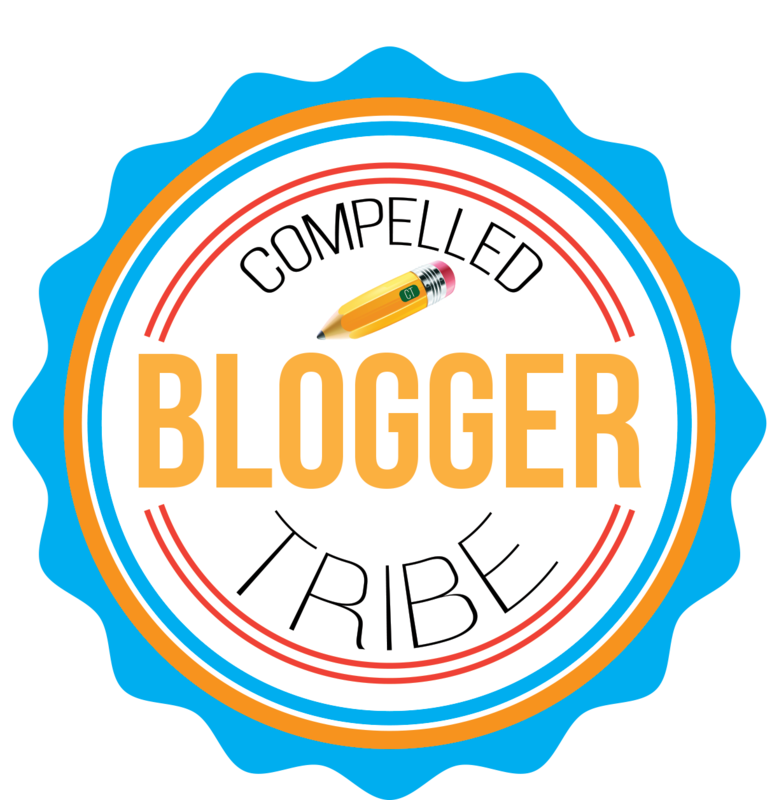 I really wanted a badge for our tribe members to display on their blogs, so I emailed Craig and shared a first run attempt at a badge for our blogging tribe. This is an example of how we fail forward. I shared my badge with Craig, asked for his feedback and told him that my feelings wouldn't be hurt. I wanted his honest opinion. He emailed back and said that his wife, Michelle, would like to take a shot at it. 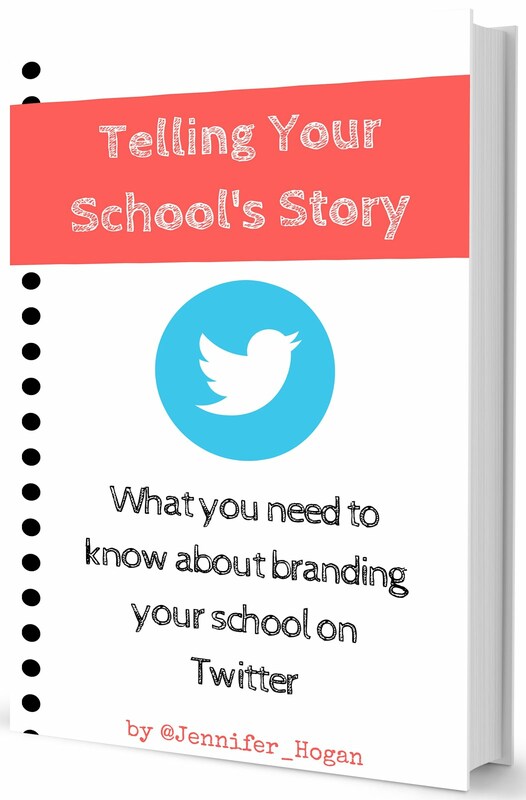 She is a school PR specialist, so I knew that whatever she did would be awesome. 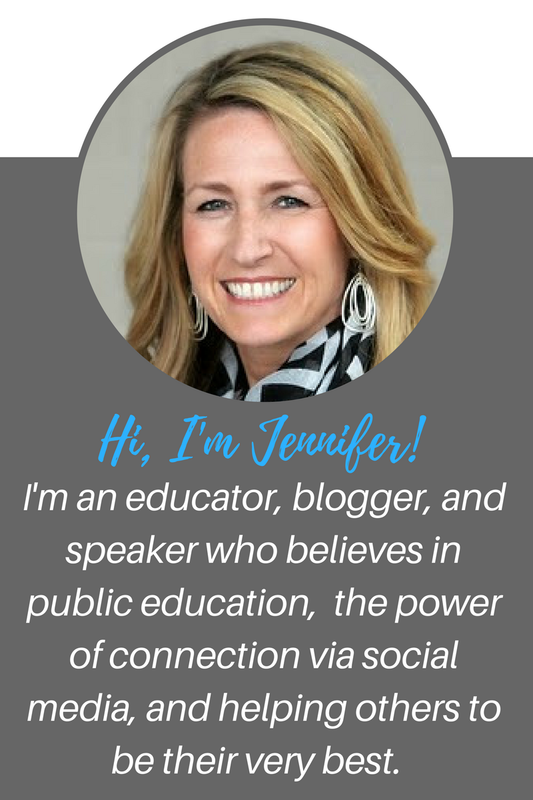 Now let me say, creating a badge is easy in Picmonkey. (I'm sure you can do better than what I attempted!) You want to make sure the sizes are either 125x125, 150x150 or 200x200. (The badge on my blog is 200x200.) If you're not too familiar with Picmonkey, it's a free photo editing website that is really easy to use. Once you play around with it, you will see that the tools are pretty straight forward. If you want to create you own badge for your blog, just try Googling this: "how to create blog badge picmonkey" (without the quotation marks.) If you click on Images when you do your search, you will get some great ideas. Once Craig emailed the new badge to me, I got to work. The first thing I did was upload the picture to free image hosting website, Photobucket. You will need the link provided in the "Direct" box as seen above. Click in the box then paste the code into a word doc, Google doc, or notepad and save for later. 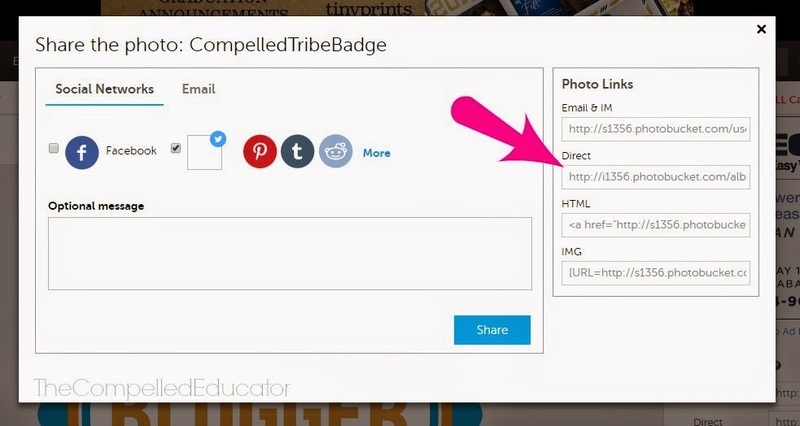 Replace the first URL with the URL you’d like your blog badge to click through to, such as your blog’s home page. Replace the second URL with the image URL that you created when you uploaded your image. Replace the word KEYWORD with a word that describes your badge – this helps tell search engines what your blog is all about. On your blog layout, there should be a place to insert widgets or gadgets. Choose the html text box and insert your code. 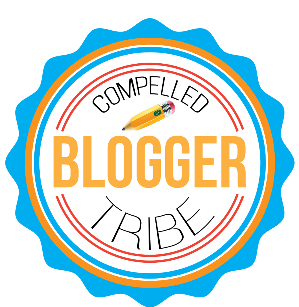 Your badge should appear on your blog. Was this helpful? Please share in the comments. Very nicely done. I love the failing forward reference and the courage to share that process! I am also a big fan of the tribe mentality! Thanks for reading and commenting, Penny. It has been a learning process for all of us. 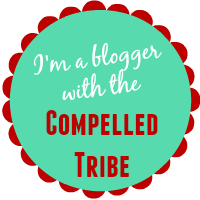 The tribe has been great on many different levels - I recommend all bloggers to find a tribe for a short or long time! Thank YOU, Michelle, for your designer's eye and willingness to share your talents!